National Geographic photographer Joe McNally climbed to the top of Dubai's Burj Khalifa so the rest of us don't have to. 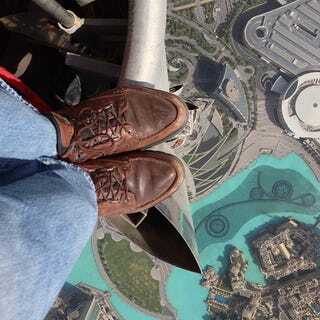 He posted this image to his Instagram account, adding, "My old battered shoes climbed the worlds tallest building today. What an amazing structure! Tweeting from 820 meters straight up!"